By default, Jedox Web is installed with the following settings. Note: that any changes to default port settings must be noted in the related configuration files. See Encrypting a Standalone Installation for more information. The Apache Web server component listens only to the localhost interface (127.0.0.1): Port 80 (or port 443, if it is encrypted). The Apache Web Server communicates with the Core Server on port 8193. The Jedox OLAP Server listens only to the localhost interface (127.0.0.1), Port 7777. This port is also used by the Apache Web Server and the Core Server to store the internal configuration data on the Jedox OLAP Server. The Apache Web Server communicates with the Tomcat Server (Jedox Integrator, Jedox Analyzer, and Scheduler) on Port 8010. The admin account has the password “admin” for both Jedox Web as well as for the Jedox OLAP Server. These credentials should be changed immediately after installation. See Hardening Jedox for information on making your Jedox installation as secure as possible. 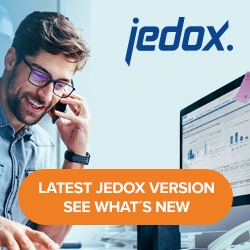 The Jedox Integrator Web Client communicates with the Jedox Integrator Server on port 7775. Tomcat Service can use 1024 MB memory maximum by default.